Start the 3D bend. Make sure to add a Pause Point to the SVG's third bend point. 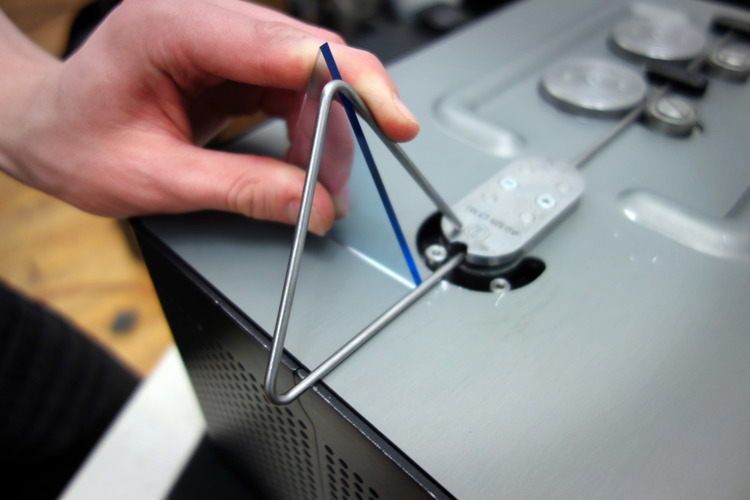 At the Pause Point rotate the bent triangle 115 degrees from its original bend plane. You'll end up with this tetrahedral shape. Repeat six times and get out the heat shrink. 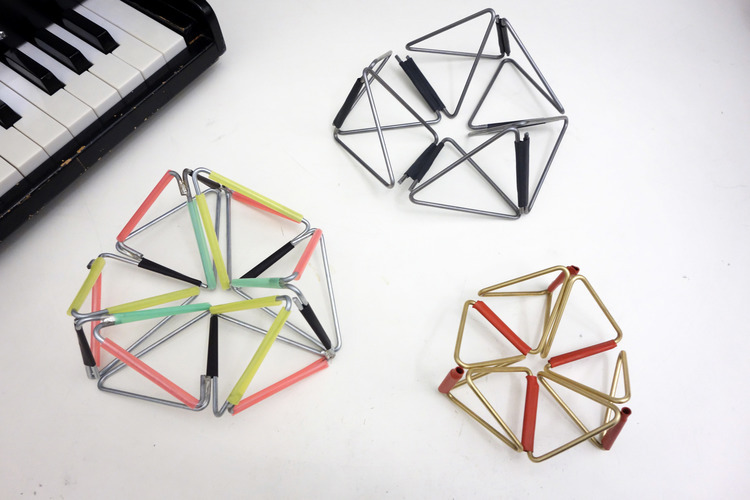 With a heat gun, shrink open ends of the tetrahedrons until you've got a kaleidocycle..
TOOLS: Wire cutter, heat gun.